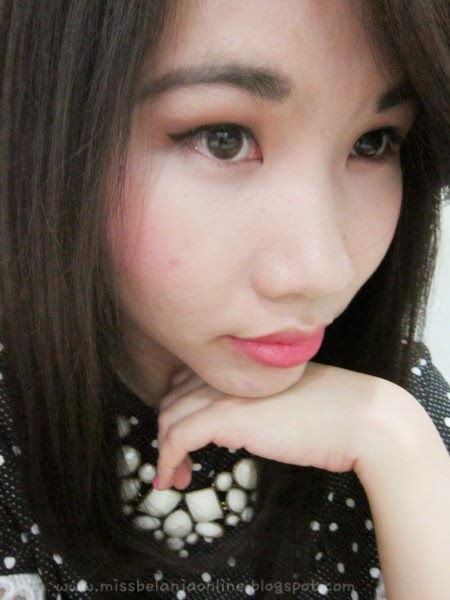 Hello ladies~ Today I want to share some FOTD with my palette from Victoria's Secret. I bought this palette last year when VS had a very big discount. 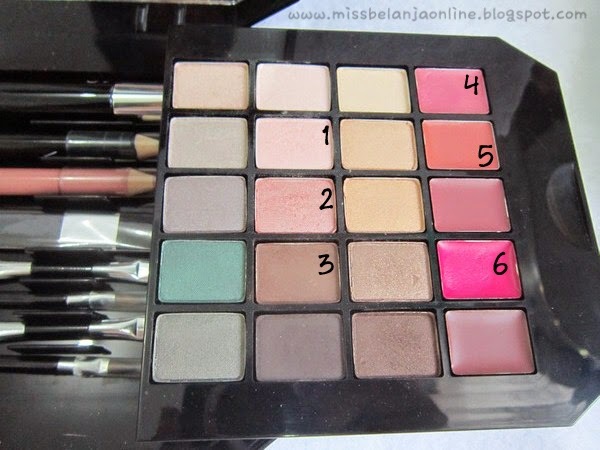 I don't really remember the price but I think it is around IDR 250.000 for this big and complete palette. Such a great deal, right? Now I will talk about the Palette first. 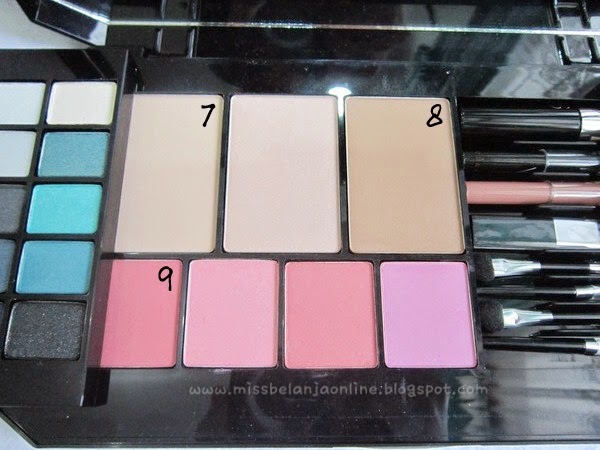 I really love the design especially the "ribbon" button that used to open the palette. The main color is black and it makes the palette looks expensive. 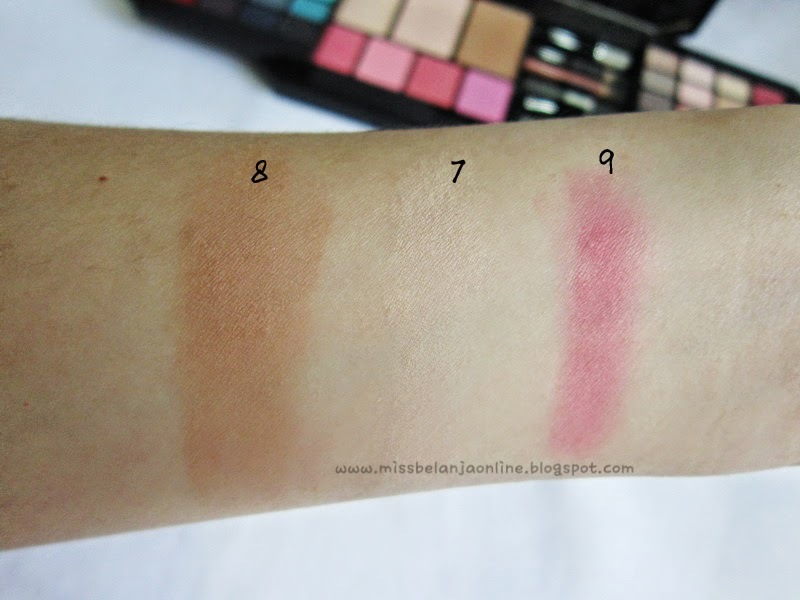 This palette comes with 2 level~ the first level contains eyeshadows and lipsticks. I will not swatch every colour because it is too many for me *sorry*. 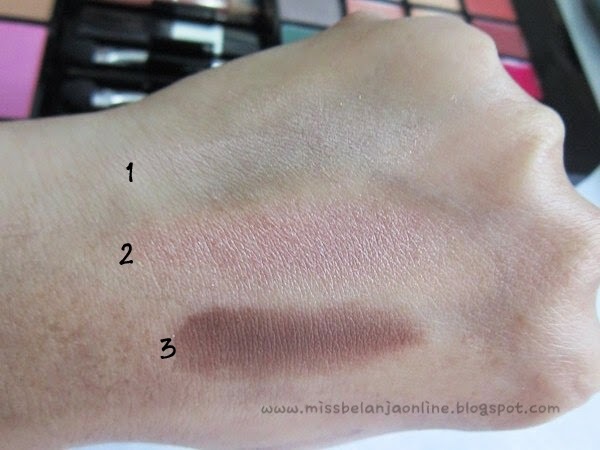 I only use few colour from this palette so far and now I will swatch the color that I used for this FOTD. The bottom level contains face powder, blush on, brushes, eyeliner, and mascara. I used the darkest color to contour my face. 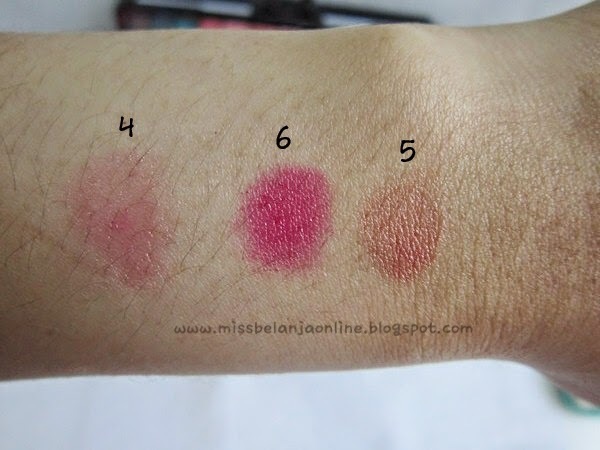 The color pay-off is quite pigmented for me and the powder's texture isn't powdery. Actually this is the first time I try cosmetics from this brand and so far I'm quite satisfied with the quality. Still haven't try the mascara and eyeliner but I hope it will have a nice quality too like the others.